Good morning Father. Searching for the “new me” in the external circumstances/activities reminds me of the quote of searching the world over yet finding what we need at home. Thank you for sharing about your pilgrimage. It is so encouraging. This really gets at the heart of “salvation as a moment in time” or “being saved” as it was called when I was growing up. I have felt the despair of multiple failed attempts to see any significant change after “getting saved” at an altar when I was younger. From that reality flows the need for a theology of “backsliding” to account for the continued falling down and falling away. Worse yet was the pervasiveness of denial to maintain the illusion of goodness, of holiness, of some kind of sanctity. This denial all but guaranteed the the real work of salvation would be buried and not see the light of day. It is also the resulting hypocrisy that sent so many of us running from our churches in young adulthood. Thank you, Fr. Stephen. This rings so true to me, especially as a mother. Every day I see revealed a little more the depths of my heart and I think I see myself beginning to learn to bear a little shame. There’s no hiding my true self from my husband and children. Not only is there no hiding it- it is reflected back to me as in a mirror and I am forced to look and to acknowledge that I am seeing my self. Thank you Father. I can very much relate to your feelings as a youth of a “new self ” in each new year. I had the added advantage of changing schools often (my father was in the Army) and I too hoped to get past what had happened in the last year and be a new person. Like you, my experiences were not what I had hoped for. I just finished reading on another blog an article about John Calvin and his style of “Christianity” in Geneva and your comments here on “The many dark deeds done in the name of Christ are the predictable fruit of moralism” are a summation of Calvin’s ministry. I am slowly unlearning the idea of “progress” in myself and trying to hold your teaching in front of my eyes as I live my life in repentance. As a result, however, long term friendships, especially with civilians unfamiliar with the nature of military friendships, seemed nearly impossible. Somehow my husband and I have lived in our house current for 15 years, in one state for 20, and I no longer have the urge to pack every single summer. It took about a decade to get to this. I guess this all points to our need for time-lots of it-to allow deep change to occur. Stability of place is also good and can be healing over the long haul. I guess it’s ok I haven’t planted many trees on our property these15 years (oh they’d be so tall now!). We’ve been unraveling our past transience and raising children while being so broken ourselves. Fr Stephen- thanks again for giving me so much to think about today! It’s very nice to have you back. Stability is considered an essential part of the monastic existence (and therefore an essential part of the spiritual life for everyone). One of the desert fathers said, “Stay in your cell and your cell will teach you everything.” I will soon pass 30 years in my present house…nearly half my life. We’ve planted a tree (I want to plant another). We probably need to be more like trees and less like rabbits. I was beginning to think that the only answer to my not getting “better and better” was that I bore the mark of Cain; I must be cursed, not blessed. But, I say with tears, you have blessed me today, father. You have reminded me that He loves me just as I am as He works in me to show me how much I need Him. I have attempted to “reinvent” into something new all of my life. It seems there is little else to do in this world; my current self is never good enough for me or anyone else (in spite of whatever positive encouragement I receive). It’s hard to sit still when you don’t like where you are sitting and see nothing good in staying in your own skin. For some reason this all reminds me of an old B.C. cartoon, where Wiley was trying to outrun his own sweat…. What you described uncovers much of the experience of living in this age, especially in an invented modern culture (if you can even call it culture) that we call the “first world.” We seem to be the logical extension of a Renaissance culture or a “rebirth” type of mentality. I assume many converts come from multiple denominational leaps of faith. With each step from protestant to agnostic philosophies to Roman Catholicism (and all its wonderful, different flavors) and then to Orthodoxy I’ve tried to reinvent myself with a tabula rasa as you mentioned. I’m glad you talked about the temptation to reinvent yourself as a convert to Orthodoxy. There may be a very long list of things that could make a convert look and sound more Orthodox while the inner life is completely dead. We can’t always act like we’ve been born into Orthodoxy but we should act like we’ve been born into Christ in Orthodoxy. And it must grind down the soul to betray itself over and over by “moral progress” and constructing a fake “self” for every occasion. Being honest with God can be freeing. Moralism and the detachment from ourselves strikes me on a daily basis as one of the most painful truths about the modern way of life. It’s easy to get distracted by doing a lot of so-called good things nowadays. Is Orthodoxy our culture? Thank you. I am a spiritual director, and I meet so many people who have been immersed in the “moral improvement in the face of damnation” way of living their lives. It can be terrifying to let go of that if one believes that one’s eternal salvation is tied to an outer morality that doesn’t allow for the slow process of healing and growth. It’s risky to trust in the downward way of the cross and trust in the loving work of God deep within that is rarely visible in the beginning. Your words help me stay grounded myself so that I (hopefully) can sit with others as they grow deeper in who they are in Christ. “We probably need to be more like trees” — that puts it in a nutshell! (I remember Thomas Merton saying something about the blessings of staying put, but I was too much of a rabbit then to understand. ) Thank you, Father, for continuing to send out such helpful messages. This whole post is a blessing. I had never realized the connection between my childhood dreams of being a cowboy, or later of being an athlete, and the pictures I had created of myself as a good teacher–never mind spouse and father (sadly those got second and third place). What an amazing thing to recognize that connection, finally. A mystery and a grace. You have written about the false self before, but at last I’m starting to get it. Never too late, thank the merciful Lord! A class on monasticism was one of my favorite classes of all time, taken over 20 years ago. I could never put into practice spiritual disciplines without tremendous guilt. And as a rather undisciplined mother pretty much just gave up. This week I’ve been reading about Saint Juliana and Mother Maria of Paris, both ascetics but not in monasteries. And I’m reminded that the smallest prayers offered for our children while bandaging cuts, teaching chores, helping them figure life out, these are beautiful things to God. Indeed my home is to be a little church where these young ones can grow and find healing, and I get the be their mom, walking alongside them. I realize that The Ladder of Divine Ascent is not meant to ne a step-by-step process, though it surely seems designed that way. But my understanding of the confession and repentance is that we are to put forth effort to forsake our prevalent sins, and to focus on practicing the virtue that corresponds to that vice, with the guidance of our spiritual father, all the while putting forth our plea to the Lord for mercy. We trust His providence AND put forth effort, beginning with the forsaking of our evil thoughts ( with the realization that with more insight into our fallen selves we will not be seeing any progress we make so as to avoid the temptation of pride). The vice/virtue understanding I learned from a book about St Gregory Palamas’ teachings. I have described myself as a tumble weed having grown up a military brat and then served 20 years myself. After I retired in 1991, I have continued to move. I think, at last, I have come to rest on a fence that I do not care to move from. One thing I have to learn now is how to really have friends. I have lots of acquaintances, but learned early never to form deep bonds. During my dependent years it saved me from heartache. In my military years it protected me from grief because so many of those I served and flew with perished, sometimes in my sight. What I thought was a blessing of insulation became a millstone of broken communion. I am having to learn to live in communion with a parish full of wonder people who are as broken as I am. I have to learn to love them despite their faults and to stand in my on shame before them and admit that I am the worst of sinners. I cannot hide behind masks and assumed personas. I am having to learn to live as a real human being. Lord Jesus Christ, Son of God, Glory to You for all things. I realize that without His Grace, I would not be here. As a ten year Byz Cath on my way to full Orthodoxy, I think it’s the Eastern Christian life that has enabled me to be more open to God’s grace in ways that were less possible (not impossible though) in my life as an RC. I pray differently. The Divine Liturgy has “changed” me. Softened me, perhaps. I’m still me, but I’ve made a little more room for God to work. But I had to get crushed and beaten down first. “The classical pattern within the Church does the opposite – it moves towards a deeper and deeper realization of the truth of our being. On the one hand, this is the heart of repentance. The journey to that depth is marked by weakness, shame, loneliness and what might even feel like failure. It is the difficult work of bringing into the light what we would often prefer to remain hidden. That same work requires safety and emotional support. Thank you so much for these words dear Father Stephen. As I read your words, I remembered how the Saints call this “double knowledge that we need to acquire” (Dino often reminded us about those teachings of Greek Elders), that deep inside, we are nothing, but all the while we remember that God is Everything and loves us, and can recreate us if we meet Him in the Church and Her Mysteries. But this work is very difficult to do without somebody to help us… We need Spiritual Fathers like you so much!!! How blessed are those who you shepherd directly, when we are so blessed just by reading your words on the blog. Thank you! But, strangely, if you read the Ladder carefully, you discover something other than what you seem to be describing. In book four, we read, “You can only heal shame by shame.” My point is that the kind of “putting forth effort” that most people engage in is counter-productive and shame-avoiding. We put forth effort, but the effort is quite contrary to what most people mean by that. It is this that is not understood, and, because most of us, including priests, are captive to a modern mindset, gets consistently interpreted incorrectly. I have been trying off and on for twenty years to “do” contemplative prayer. Some weeks ago, I quit. I still sit, but now I consciously turn the whole thing over to God. In other words, I am no longer practicing contemplative prayer to change myself. I am now just offering myself to God – and getting out of his way for at least twenty minutes, twice a day – so He can do with me whatever He wants to do. I hope this new practice conforms to what you have written about, Father. By the way, “we probably need to be more like trees and less like rabbits,” reminds me of the Benedictines. 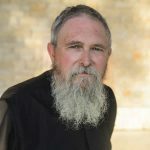 Unlike other Western orders, the first vow of a Benedictine novice is a vow of stability, a promise to remain and live out the rest of one’s life in the monastery being entered, instead of moving around from place to place, from one monastery to another. Some Benedictine monasteries leave an open grave close to the gate, to remind the brothers that they are never, ever, going anywhere else. Much wisdom in that, I think. Meditation takes a lot of forms…much like my changed version of the Jesus Prayer. It’s good not to be stuck. Perhaps a good vow of stability would be to agree before God that you would be yourself. These Moosejaw jackets will literally change your life. Promise. As I read the comments today two issues stand out to me; shame and friendship. As one who has a great deal to be ashamed of, I have found that the true friend whom God has blessed me with is an irreplaceable part of my dealing with shame by shame. Thank you Father for your encouragement in so many ways. Father, When you say “That new creation begins in the very depth of the soul. The journey to that depth is marked by weakness, shame, loneliness and what might even feel like failure” it’s true, and humility might be the overarching key that facilitates growth, by opening up the believer to everything the Lord wants to do, give, send, and change in their character. It’s impossible to be humble without being honest to the point of allowing oneself to be hurt (that’s my definition of vulnerability, a word I hate to use) so it seems the humble soul can in one fell swoop become the thief on the cross–and not have to dwell on his past or dredge up his sordid sins again and again. That fell swoop is daily for me, I admit, but keying in on submission to God at every turn and every remembrance of sins past is giving me peace, assurance that he still loves me and has plans to prosper, not curse, the rest of my life. I feel the grip of past sins loosening for sure. You expressed the relationship difficulties we face so very well! When uprooted so often there isn’t adequate time to grieve losses. When my eldest child went away to college 2 years ago I was hit with grief that felt like death. I remembered being called a third culture kid in the past. Doing research on third culture kids showed me that the grief of the past often comes to the foreground when we are in our 30’s and 40’s. I think that’s what happened to me when my daughter left home…Years and years of grief rose up inside me, engulfing my entire being. It was impossible to explain to anyone I knew since none of them experienced such transience as a child. But isn’t God faithful and kind to us? In my deepest sorrows He was there. Anyway, your words are a blessing to me. May the Lord help us both as we struggle for authentic relationships and healing! What is meant by “disordered personalities” not making for good monks and nuns? Does that mean we are spiritually weak as a society or ridden with mental illnesses? Or not “tough” like your fellow pilgrims who you compared yourself with in your previous post? Another question related to Learning’s comment: What do we do (if anything) when we no longer ‘feel’ contrition? I am have been working my way out of a depressive episode and have not felt contrite (or especially plaintative or joyful) for a while. The inside of me just seems kind of flat right now. I am happy again, finally, but in an internally passive kind of way, if that makes sense. I tried to regain these “senses” of joy, contrition, ehoetation, etc. during the depression but couldn’t seem to find a way to do so without compacting the depression that was there. So I stepped back. Now I feel more ready to try to strengthen my inner voice, if that is possible. Thank you for sharing about your pilgrimage, Father! What I meant by “disordered personalities” was a variety of things. The Athonite life is very difficult and strenuous. Any number of disorders would very likely not adjust well. One monastic said that many young monks of recent times have very difficult problems with obedience – they have been nurtured in an environment in which there are almost no experiences that confront a self-willed life. Another Abbot whom I know (from elsewhere) observed that an increasing number of people come from broken homes or disordered families. With that comes a lack of experience and formation in family life in general (it can create a problem in building a stable marriage, too). A monastic community cannot long exist and do its work if there is internal strife. The life heals many things, but it needs a certainly amount of stability for that process to take place. I would suggest that we are not riddled with mental illness as a society – at least not in a full-blown clinical sense – but we are indeed riddled with personalities whose formation has been terribly disordered. I have written (or spoken) that being a parish priest often feels like being a principal in a middle school. Our culture has no social mechanisms for nurturing adult personalities. It only nurtures consumerism. Middle School is a massive shame pit – in which teens posture and hide, bully and move from identity to identity searching for safety. Those who succeed best are those from stable home environments where they are nurtured in enough security to experience some amount of adult formation. I could write on and on about the social/psychological problems in our present youth culture. In sum, it does not produce very many candidates for monasticism. It’s hard as well to find good candidates for the priesthood – personalities that are mature enough to patiently and wisely lead a community of people. My experience as a parish priest for some 35 years is that the process has often revealed my own “cracks.” Most of the mistakes I have made are precisely due to character flaws. As I near retirement age those flaws are improved but not healed and they still cause me to stumble from time to time, or to become part of a bad decision or reaction. Nobody is perfect, of course. The question is how “imperfect” can a personality be and still flourish in certain situations. For monastics, it’s why they have probationary periods (novice) and have since the very beginnings of that form of life. The most tragic situations are when a “diseased” personality remains in the life or in a parish position of leadership. I have known of a serious narcissistic personality in the position of abbot or pastor where extreme damage was done to those within his community. The phenomenon of “spiritual abuse” is rooted mostly in that sort of situation. By God’s grace, we pray for healthy leaders and stable communities where any and all of us can find the nurture and safety, honesty and love required for a life of healing. ELM, feeling contrite is not all that important nor is feeling joy. Both are gifts from God. They exist whether or not we feel them. At best our feelings result from God’s activity in our life. At worst our feelings can be delusional. If we work to live a Christian life of worship, prayer, fasting, giving alms, repentance/forgiveness then both joy and contrition will manifest. Michael, I also appreciate what you wrote about waiting for the butterfly. Yes, the Lord is always with us. In the depths of loneliness, despair and grief He is there. It took me many years to notice that and all that once struggled with has lost its grip on me. It is still there hiding in the shadows but I know to Whom to turn when it tries to come upon me again. I am heartened to hear your story of recovery. May the Lord continue to draw us closer. Thank you for sharing the wisdom about “happiness”. It is so true. I once saw a quote that said “The pursuit of happiness is the source of all unhappiness”. There is a simple and effective method to help with our deep and unaddressed emotions , especially when we cannot find any better help at the moment. I shared it here before, and used it myself in my life in difficult emotional situations. It helps. Look on the internet for “the tapping solution dot come” and try it. It may help you process a few things and get clarity. You wrote so beautifully about the state of present youth. They are so conflicted and broken. So few families are whole any more (I hoped to have one, but in the end had to go through a divorce that I am sure affected my children terribly). I recently read about a study that linked Adverse Childhood Experiences (it’s actually an CDCs term that is evaluated and is given a score) to how these show up in peoples lives half a century later… As they grow up and their life stresses add up (without and possibility of processing them and getting rid of guilt and shame [as it would if they grew up in a Christian environment, with confession and prayers of the family, like St. Silouan did for example, he saw the true value of confession in an older man who murdered someone]) the emotional damage compounds… What will this world look like in 50 years!? I am glad I will not be here to see…. Thank you for this article. It reminds me of years of failure in confession where I would – and still do – compare my “spiritual performance” since the last confession in terms of “progress”. How is it that the way up is the way down manifested in the mystery of confession? You previously wrote that you hear confessions differently depending on the person. The example of the old Russian lady comes to mind: neither language nor sinfulness are barriers, but the deeply ingrained notion of progress is. I was delighted and eager to read your thoughts when I saw the title of this post “Be True to Yourself”. Last Friday in my doctors office, waiting for my turn, I picked up several magazines. They are geared towards women and the general message of many articles include the very title of your post, be true to yourself… and in addition: do not feel guilty, know that you are “good”, tell others they are “good”, do things that make yourself feel “good”…either centered around body image or things that would make the world a better place. There is a heavy focus on empowerment (the word emasculate came to mind). I have been thinking about these articles ever since. It was a serious jolt to be reminded once again of how these values are upheld in our society. They use words and phrases that Christians use, but in an entirely different context. “Be true to yourself” as a Christian means finding our true identity as God created us, to be in unity with Him, in Christ, in the Body, the Church…. which means death to the old self…the self portrayed in these magazines. When I was reading these articles, I seriously felt like an alien…I knew they were saying something familiar, yet completely different from our train of thought. What a relief to read this! I was having trouble connecting my thoughts! Thank you! When I was a child, we attended a church that had regular “testimony” services. A person would rise and tell the congregation about his/her walk with the Lord usually some victory or progress. Rarely if ever was anything shaming mentioned. That would have been too painful to broach in front of all. Usually the mask was worn. And I imagine nothing of healing came out of these “testimonies” for the speaker or hearer. For my own self as Orthodox, it is much easier and healing for me to sit in the darkness of early morning and bear a little shame before the Lord. It is still difficult for me to do this in confession. Someone mentioned how experiences of childhood are sometimes dealt with as an adult 50 years later. Perhaps that’s me still wanting to wear a mask as in the childhood testimonies. In the above comment I should have said “shameful” as in admitting any kind of weakness or spiritual stumbling. Father, I need help with this. Specifically, what are the efforts that people put forth that are counter productive? What are they doing that’s wrong / unhelpful? And, what types of effort should people put forth instead? I have come to look at confession as weeding a garden. Some weeds are easily pulled and do not come back. Other weeds have deeper roots and take constant work to keep out. They look exactly like the same weed you pulled the week before but they are not the same weed. Just the same root. It is also a bit like peeling and onion. Many layers and always done with tears. Paula, thank you for your reflection. It is important to realize how nilhism stela and perverts language and the process of discernment. It is an emasculation of our humanness whether male or female. An inversion of righteousness and sin. Increasingly less subtle. The devil thinks he has won and his arrogance is showing. Many things, such as anger, envy, lust, etc., have a deeper root within – most often involving matters of shame. What is done is simply trying to avoid have those those or actions. In and of itself this is not bad, but not much will change because the core problem remains untouched. We cannot train ourselves simply to behave. This is St. Paul’s lament about not doing what he wants but doing what he doesn’t want. Those efforts are not worthless, in and of themselves, but, over time, their continued failure can have very negative effects of various sorts. “The way down is the way up,” because the problems lie “down,” or “within.” That inner effort has much to do with a “good confession.” That confession can be a place where we learn to “bear a little shame.” We acknowledge not so much our efforts, but rather darker things. I knew a man who struggled over being angry with his teens. They did stuff that teens typically do. He could easily justify his anger, but it was damaging the relationship and becoming habitual, and was too easily triggered. His spiritual father pointed him towards his shame. When his teens would disobey, it felt disrespectful and, therefore, shaming. It was the shame that was triggering the anger. He learned to confront the shame without unnecessarily defending himself and gained a greater peace. That’s a small, even an easy example. Many habits of shame can become parts of our character. I took a test once that mapped out character issues. To my great embarrassment, it revealed a problem of cowardice. I really hated that test. But it helped me begin to see, over a long review of my life, that certain situations make me quite irrational, and I will seek to placate a person in an unpleasant situation, even if it’s inappropriate. Over the course of my life, it created many problems. It almost always led me to make bad decisions, and the decisions would later lead to a much deeper, depressing shame – the kind that leaves you in a fetal position. The hard inner work (which is still a slow part of my life) has been learning to accurately describe to myself (and confess) what is going on. It’s the kind of flaw that I “hate” and “despise.” It makes me have no respect for myself and that’s a terrible trigger for other things. Attending to things like that are the sort of work I’m describing. I think, upon reflection, that it is not all all easy for a younger person. Much of the deeper insights in my life have only come with age. The pattern is more easily identifiable. It might also be that I’ve got better spiritual direction now. The single best thing I’ve read on confession, is a book by the Monk Seraphim (Aldea), The Voice in Confession. It’s short, but spot on. I won’t saying you are making “progress” 🙂 but God must be doing some good work in you. To post here what you consider to be a flaw in yourself that you “hate”, is to bear more than a little shame. But it is very freeing, isn’t it? And not just for you but for all of us who read it and think of our own flaws. I had to struggle for a long time in my younger years just to acknowledge, first to myself and then to others, that I HAD flaws. I know that sounds absurd, especially for someone who grew up going to confession, but perfectionism had (has) a strong hold in me. It is a central part of my own “hard inner work”. I obtained the booklet you recommended on confession when you mentioned it once before and it has been very, very helpful. I have accepted some of its challenges and they have not been easy for me, e.g. to purposely confess something that I think will make my priest think less of me; to not mention anyone else (unless asked) in confessing, so that I don’t attempt to somehow justify my own wrongdoing by virtue of the circumstances or faults of another. It is so very hard for us to be honest with ourselves. So much so that we often don’t even realize when we are not being honest. But when I bring this dilemma to God, I can trust Him to help me become more honest. Even better, I can trust Him to show me just what I need to see and am ready to see. On my own, I can easily err at either extreme – thinking I’m just fine or drowning in shame. I recently came across an old quote by psychologist, Carl Rogers: “The curious paradox is that when I accept myself just as I am, then I can change.” I do not think this is modern feel-good fluff. There is a deep truth here. We often think we need to change in order to be “acceptable”. But it is the other way around – we become able to change/grow once we have accepted who we really are – including our faults. Of course, as Christians, we know that true self-acceptance isn’t something we attain by our own efforts. It is something we learn when we understand that God loves/accepts us as we are – either through our direct experience of His mercy or through other believers who genuinely live the life of Christ. Agata, anger is always related to fear and/or shame. We angerholics live in deep fear. The anger is used to cover our shame at being less than, not in control, etc. An important part of healing is facing the reality that I am not in control nor should I expect to be. Yet other folks behavior or even inanimate objects can be a constant reminder of my inability to control. Shame is manifest and immediately covered with anger. I learned this from my father. It has taken most of my life to begin to face the reality and bear a little the fact that I can do nothing good, I can control nothing. After 30 years in the Church some of the root is being exposed. Yet just the other day I acted out because my control of a situation was challenged. It embarrassed my wife and shamed her. She is generous to forgive. A couregeous woman. It could easily create a cycle of deeper shame and anger. My apology to her and her forgiveness helped break the cycle but I cannot make amends for all of it. Only the gift of tears and the grace of God can reach deeply enough. “The first and most useful one is to try to reduce your confession as much as possible. Try to keep it under three minutes, for example. The way to do that is to look for the source of evil. I mean, do not make philosophy. Do not be expanding your confession. Do not give any sort of context. Be as simple and plain as you possibly can. Just list the things you need to confess: “I lied.” Full stop. “I am lazy and waste time.” Full stop. “I am proud and yet envious.” Full stop. And so on. First off, I realize you didn’t write this Father Stephen, but you said you liked the book, so I will ask you my question. It seem to me that the third paragraph completely contradicts the first one. In paragraph one, he says to be simple with your confession. Just say your sins. Then in paragraph three, he basically says, don’t just list your sins. So obviously I’m confused. And mercy me, in paragraph two he says to “see what is the source of each category of sin” and to figure out “what lies underneath that reaction / behavior.” Well, I’m not a trained clinical psychologist so I’m not very optimistic about my chances of figuring out what the underlying reasons are for my sin. Sorry to be so dense, but I’m more confused about confession after reading that, than I was before I read it. When I read this I felt like a curtain was gently blown in the wind and I saw a glimmer of light, but I would like to see that light more clearly. It seems to me that this describes the point at which I am blocked in my spiritual life. For long I thought that perhaps God was withholding grace from me to teach me something which was not quite clear to me. But now after reading your articles for the past few years, I have begun to think that it is not so much that God withholds the grace of moral progress from me, but that I have trapped myself in an endless pleasure-pain cycle because I am not willing to bear shame in the Present Moment. How exactly do I confront my shame? Is this related to your article titled Comfort for a Child – Speaking Peace to Shame? Do I say to myself when I catch myself procrastinating, or getting angry, or anxious or depressed, “This is happening because I am trying to avoid the bearing of shame, and also because I have forgotten that I am a sinner who must spend my life in repentance. I have slipped into a “Two Storey Universe” mindset again. Hence I am ashamed of being in the presence of the Truth about myself and so I am now reacting with anger/depression/anxiety/avoidance. Let me bear the shame and trust in Christ in the spirit of St. Peter stepping out of the boat, and and then ‘All shall be well, and all shall be well, and all manner of thing shall be well!’ ” Would that be a right approach? What you’re describing sounds good. I do not think I would do the analysis in confession – I would confess the anger/depression/anxiety. Bearing our shame is a sometimes tricky thing. I emphasize Elder Sophrony’s “little” in his admonition. I think that it is easier to bear a little shame when we are emotionally safe – so that when I see the shame – I understand that this does not separate me from God in reality. It is an inner affliction that is not so much a matter of our own fault. Who’s to blame is almost the most useless thing I’ve ever known. It’s only important for lawyers. I frequently use thanksgiving in the face of shame – recognizing that what I feel is being healed even as I confront it. Julian of Norwich’s words “All shall be well” are also useful. I was at the doctor yesterday. His nurse had to give me a shot. It hurt. But it was not a big deal. It was a healing pain. The article you reference is about “comforting the soul.” Speak comfort to the shame – calm it down. A little. Use what seems helpful and don’t worry about the rest. In the second paragraph he more or less describes the process of preparation. List the sins. Look at them. If something emerges that’s good and worth noting. If not, don’t worry about it. Say a prayer before preparation and a thanksgiving after. We are not on our own. God is at work in us in all of this. Alan, everybody I know starts with lists of specific bad acts. Lists however are like cutting off the top of the weed. To get to the root requires greater work of which the lists are a necessary and helpful part. Lately I have begun to ask myself why I shy away from confession? St. Paul tells us to “go boldly before the throne of Grace”. Why is it that I do not take every opportunity with joy? Father Stephen says: “Who’s to blame is almost the most useless thing I’ve ever known.” How true this is! I can just imagine going to the doctor to seek healing for our illness, and the doctors attitude or approach to the treatment begins (and remains) with blaming the sick person for their illness. Not only would that be non conducive to healing, it would produce an inordinate amount of shame that would instead cripple us. We then agree with this blaming! I would venture to say we know very well that our lifestyle contributes to our infirmities. To be reminded of this requires some delicacy (hence, “a little shame”). A doctor who understands all the facets of healing knows how to approach the patient gently yet firmly, identifies the problem, and proceeds with the treatment. But we have to trust this doctor. And so with our God…even more so, as our Master Healer, He knows exactly what we need to heal our sick souls. He knows we need to confess our sins. We know what our sins are (basically), that we confess to Him (through the priest), and in the mystery of this sacrament He heals…however long or short it takes, He does it. We complicate things greatly as we are complex in our being…but trust is one of the most simple and effective means to healing. As I think I am so “mature”, so wise in my elder years, is the very time to “go down” and become like a child, to revert to that child-like faith…because really, I know not as I should! As Father Stephen says, “use what seems helpful and don’t worry about the rest”! and trust! How true this is. We so easily forget that Christ came to seek and to save those who are lost. He did not come into the world to condemn the world but that the world might be saved. Such simple understandings of the goodness of God need to be repeated over and over again as we seek to combat the dark thoughts that assault us. This is not really pertinent to the discussion, but I know you read David Bentley Hart. Have you seen his N.T. translation? Wondering if I should invest 23 dollars for it. I did download the Kindle sample. I am not universalist but I do like his more positive slant….As you say, we do need to constantly remind ourselves of the goodness of God, His ever present grace and mercy. everybody I know starts with lists of specific bad acts. I have never done this. In large part, I don’t remember specific acts. I tend to pray for forgiveness, make peace, and move on, forgetting things quickly. Perhaps that is an old Protestant habit that needs breaking? The only way I can think of acknowledging “the root” of an issue in confession would be to try to remember what I did that qualified as one of the vices and list the entirety of them in every confession! I honestly often find confession frustrating because I cannot think of what to confess aside from some things that happen so frequently that I cannot forget them. One thing I come away with every time: God is gracious and does not leave me, as much as I deserve it. I am hearing you say “Balder the Beautiful is dead”…. How interesting that even in the mythology story it’s the “god of darkness” that kills the “god of joy and gladness”…. This way of being true to ourselves that you speak of is upside down compared to the expectations/misbeliefs I learned growing up and then developed along the way overshadowed by my vain imagination. And as Paul so succinctly shared it is so at odds with every current societal message, commercial, magazine article, and news (or opinion) cast Since my introduction to the Orthodox Church Church Fathers and the Jesus Prayer 8 years ago I have often experienced a sense of disorientation on the path to peace as I learn that up really is down. I have lived much of my life trying to make my delusional world (I call it La La Land – where everyone is good and happy and nice to each other) come true – through the valleys of self-help, Calvinism, perfectionism and the career of social work, to name a few. As you said Father Stephan, mostly the progress in changing myself and the world was for naught, only temporary at best. I tried to escaped into La La Land from a childhood of the shame of various abuses stemming mostly from my father (and his father, and his…). I became my own abuser and shamer (I became my shortcomings, mistakes and failures with no hope of change), my own judge and jury in my delusional world, swinging wildly from perfectionsim to ‘worm of the earthism’…irrationally living in a world of fear while playing the part of ‘helper of the year’ in my outer life. I bore shame, but I bore it mostly without Christ. I had nightmares of Christ coming and me being left behind growing up. Throughout my life Christ would visit me but couldn’t stay because I of my imperfections and shame. Confession in the Orthodox Church has been rather tortuous, I was never getting it right. So when I began to read ‘Glory to God For All Things’ I began to be able to hear ‘a little more truth’ as God gives me ears to hear. I am beginning to bear ‘a little more shame’ WITH HIM through His gifts of grace. Who knew that facing the pain of my imperfections and unforgiveness (of myself and my enemies) in my silence before Christ and with Christ – standing there without saying a word and letting go of all expectations of my changing myself would begin to open the door to my receiving the warmth of His love and forgiveness. Who knew that saying my many changing versions of the Jesus Prayer (in spite of some of the Saints say NOT to change it) for 8 years would begin to lead me to real communion with the Holy Trinity. I can do nothing…and…Glory to God for ALL things, including shame. …oops, as Paula so succintly shared. I have seen it. It is interesting, but not something I will reference much. You were spot on with reference to lack of respect a father felt which ensued in anger toward his children. I felt anger many times toward my high school students. I was masking with anger the lack of control I often felt and/or lack of respect I sensed they did not give me. Too bad I did not realize this when I taught those 23 years! My students suffered, I’m sure, and I did too. I did confess my anger to different priests, however, none ever reached the probable root cause. One did say that it issued from pride. Yes, I do not practice the way down often enough. I do attempt to gaze over the abyss but cannot remain there long. Lord have mercy! I sometimes think that the reason the conversation on shame (as a root of most of the manifestations of our sinfulness) is the so difficult to comprehend, is due to the way it is framed: The root (shame of our being) is pointed at, the tree and branches are called out as manifestations of that root, the recognition of the root (bearing a little shame in confession) is mentioned as a necessity, but the necessary reframing does not occur in our mind, and the poor mind remains quite perplexed.. We forget the Cross and how it took this and transformed it… Perhaps some key connections need to be pointed out for this: Acceptance (difficult as it is) of the giveness of our being, of the giveness of our context, of the giveness of others and of the giveness of God’s plan -without wanting to change any of it to suit my non-accepting ego – is what needs to be brought into this conversation. Humility is this (acceptance): The kenosis of “Not my will but yours” (Luke 22:42), despite the shame for my will’s self-image, is the true Christocentric, kenosis, that accepts the ‘shame’ of the revelation that God is all and I am nought. This kenosis of the will transforms me into Christ. So the classic patristic advise on the liberation from my ‘thelima’ (selfish-will) with its infinite manifestations is closely related to the conversation and might give another angle of understanding for us who struggle to get it. Yes. This sums up some things that have been given and said in bits and pieces. While I appreciate your intent to point us to “another angle” in addressing our shame, I am trying to see where we have missed the importance of “acceptance” and “humility” that has not been addressed in Fathers article. Our path: “The greater task is the journey towards the true self”. Humility: “The way up is down”. finally, “Gentleness, kindness, and love with deep respect and empathy for the spiritual struggle of others is the required path of a wise shepherd.” and the transforming words of Eph 3:20-21. You say it would be more helpful if we “reframe” our mind and look at the Cross, how it embraces and transforms our shame. Are you suggesting we forget to look at the Cross? Or are you emphasizing the fact that this is of utmost importance? (maybe this is where I misunderstand your words) Because I think we very much do look at the Cross, that we do understand that Christ accepts us for what we are, and that in Him we are ever being transformed (sanctified). We do understand that humility is the way to true repentance and very much desire “Thy will be done”. We understand the giveness of our being, of our context, of others, and God’s plan. For most of us, Dino, we do understand the points you make. The trouble we have is not that we do not understand these concepts, including humility, that we do not “get it”, but rather it is the fact each of us are at different levels of transformation, each unique, and quite personal. And who can know this as intimately as Christ?! We are also reminded that not very many will even move past a mere understanding, although we very much would like to. It is a tension that most of us live with, day in and day out. That is why Fathers words that “Gentleness, kindness, and love with deep respect and empathy for the spiritual struggle of others” are so very important…really, a matter of either making or breaking our communion together. The tension, the paradox, is difficult to “live with”…that the very means toward our salvation is in our “lack” and our utter dependence on His mercy. If I am missing something here Dino, I’d sure would like to know. I mean no offense. Had to restate all this Paula , addressing Agata, mainly as a response to Agata’s unanswered : “don’t understand this at all, and I think I need to… How did he learn to “confront his shame”? What kind of shame and how to recognize it, name it? Please explain this if you can. This is for me one of the most difficult things in your writings”… the main point being that the patristic “cutting off of one’s will” in trustful surrender to “thy will be done” ought to enter the shame coversation explicitly and with a clearly recognised connection to it. Ah! To Agata…and I read it as to all of us. Forgive please, I misunderstood…and I will be more mindful to “addresses”. So in light of this, in respect to Agata’s statement, your main point is well taken and beneficial to all. I agree, viz. “cutting off of one’s will.” However, I intentionally avoid some of the more common monastic expressions. There is an edge to them that easily overwhelms a modern reader (and young one’s at that). My long project on this topic is purposefully slow. Thank you both for your conversation, and Dino especially for helping me see this concept of shame better (from my conversations with friends, I am not the only one who has a difficult time understanding it in Father Stephen’s writings, many struggle with it). Maybe it is related to our personal experiences and life history, and therefore some relate to it, and others less. I am a simple and naive person (thank you Alan! ), not good at “mental gymnastics” required to understand many nuances of “deep theology”. I just would like to know how to apply what I learn here directly in my life. Some issues discussed here are harder than others… “Acceptance” of all that is happening to me (because it’s from God and therefore good for my salvation) as “humility” is easier than “be true to yourself” (I have no idea what this is supposed to mean for me). “The way up is the way down” is more difficult than just hearing “put yourself under every person you meet, and that is the beginning of humility”…. and so on… I am blessed that Dino’s explanations are always meaningful for me. Thank you for this Dino! Thank God we all can find what we need here on this blog… Thank you again for making this space for us here Father! I will bear it in mind that many have a hard time understanding this in my writing. While I have a master’s degree, my wife’s formal education is much less…however, she is very gifted in banking and finances. She reads all of your posts. Yet I’ve never heard her say, ” What Father wrote was rather obtuse.” She comprehends what you write. So much of our understanding depends upon our upbringing, life circumstances, etc. Even more important than mental acumen is that we live out what we do understand, so that transformation in Christ can occur. It’s one reason that I tend to post far more than a single article on a topic (if it’s major). My experience has been that even if you write quite plainly and bluntly, the coin doesn’t always drop as you’d expect. If I beat the bush long enough, perhaps some coins will fall. Dino’s summary anticipated some of what I’m working on in my present book. Everything is being seen in terms of the Cross (kenosis, emptying). There will be a section on shame, but put in the larger context of the Cross. Work is going quite slowly. Prayers are welcome. Thank you for taking it slow for us. Even though we can not grasp the fullness of each topic, the light that it does shed is a Godsend. The “coins” do fall if we give it enough time and patience. Plus, encountering the difficulties give us the opportunity to search, to study further. It is actually very beneficial. Father, the book…really looking forward to that! Definitely will pray! I agree that our personal history and experiences influence our learning. Also, Dean, where you stress the importance of living out the things we do understand, amen to that! Even in the hits and misses, if our heart is surrendered (Dino! ), He accomplishes His work in us. I just received my copy of Hart’s NT in the mail today. I decided to purchase it, not because of Hart’s universalism, but because of his expressed intent in writing it. That was to be as slavishly literal to the original Greek as possible and produce an English translation that would provide an experience for the English-speaking reader as close as possible to reading the original Greek for someone who knows that language. Plus it will be virtually the only English NT not translated by a team of scholars with previous Roman Catholic or (more often) Protestant sectarian theological commitments influencing their translation choices. That alone imo makes it a valuable tool to help me delve deeper into the message of the gospel as a non Greek literate reader. That explains its somewhat “bumpy” read in English. I have found this translation of the New Testament to be the most readable and closest to the Greek: https://www.amazon.com/EOB-Orthodox-Testament-Patriarchal-extensive/dp/148191765X. It is available in soft copy as well. Please forgive me if my comment sounded critical. I have difficulty with this subject of “shame”, maybe it’s because English is not my native language. The two words that are given as a translation in Polish (wstyd and hanba) are very different in their meaning and I don’t even have a good feeling for those…. I sense that they relate to the distinction you usually point out as between “healthy shame” and “toxic shame”…. But I am not sure, what chance do I have to really grasp it in English? I just felt like the example you gave was relevant enough for my life that if you expanded it a bit more, I might have understood better. But maybe you could not without disclosing the specifics of the person’s life. Agata, if it helps I did not understand the “shame” either until, by God’s grace, it surfaced in my life and then I did. Father is spot on when he says we tend to cover shame very quickly with what ever is handy. So I am not sure trying to understand will really help that much. But because of Father bringing it out, you will recognize it when you need to. However that does not necessarily mean you will understand it any better. All I can say, the recognition of shame in my life has been quite beneficial in getting past a stuck point where I had been treading water for years, deepening my confessions at the same time. Yes, it does. And you may have just exposed yourself as one of the many (probably most) who jump right past the introductory material and explanatory notes and into the text of a new translation! Ha! Actually, I usually do that as well, but in this case I peeked at the introductory material there, too. I also listened to a podcast where he explains his literalism meant that where the author’s style is choppy or bad Greek, the English is, too, etc. 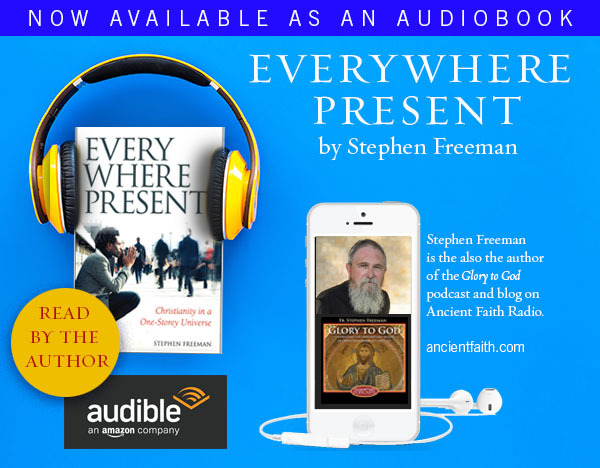 I was reading a portion of one Gospel where the Greek switches back and forth from present and past tense in relating a past event–just like people do relating events to each other in a casual way today. I haven’t read much yet, but so far, I’m pleased with the experience. It’s more of a “you are there” experience not to have those kind of things polished and cleaned up. “Dis-grace” carries some of the meaning – but I think “shame” is still the right word, despite the problems. One thing that is going on in my articles is an attempt to incorporate material from clinical studies – clinical studies rooted in neurobiology and not in a vague, popular psychology model. There is something of a “hard science” in that aspect of shame that is very useful in coming to understand our experience. The tradition and its language clearly enlighten it, expand it, and ground it in a theological understanding. I am, therefore, working with a vocabulary that is common to both, where possible. Frequently, one of the problems of theological phrases, drawn from the tradition, is our ability to “tune out” when we hear them. We think we understand them and we don’t. I see this in conversations all the time. That reality drives much of my writing – an effort to say the right thing in a fresh way so that it might be heard. We say “grace,” and people think they know what it means, for example. But I find that people rarely understand what it means, and the host of wrong meanings that fills their heads makes it hard for them to actually get at the thing itself. My approach is slower, requires lots of repetition and restating. On the whole, it seems to work for many. Suggestions on refining a point are very important – the comments section is often better than the article itself. All things work together for good…even on a blog. In Psalms 77:10 it says: “And I said, This is my infirmity: but I will remember the years of the right hand of the most High”. The Greek version is “such is the change/distortion/transformation of the Right hand of the most High”. I have often wondered about this change. Your articles on the fallacy of progress made me wonder: what is this “transformation” and how is it manifest? *Made manifest, I meant to write. Interesting question. That particular verse, “Now is the change of the Most High,” is appointed to be sung at a number of major feasts in the Orthodox Church, particularly those associated with the Incarnation of Christ. God become Man – the Coming of the Kingdom of God – is this “change of the Most High.” It is not matter of progression or of evolving – it is a change made by God Himself. The Kingdom of God has come in Christ Jesus and cannot be stopped. It is being manifest already. It will, at the end of things, be revealed in its fullness. Further to your comment to Thomas, in the Liturgy at my parish this morning, my Priest (Fr. John) made reference several times in his homily to the Church as being Christ’s Body on earth and the locus of God’s Kingdom fully come into the world already (which will also come in its fullness *everywhere* at the Second Coming). Father, since you mentioned the subject of Grace, I would like to ask you to expand on it a bit. 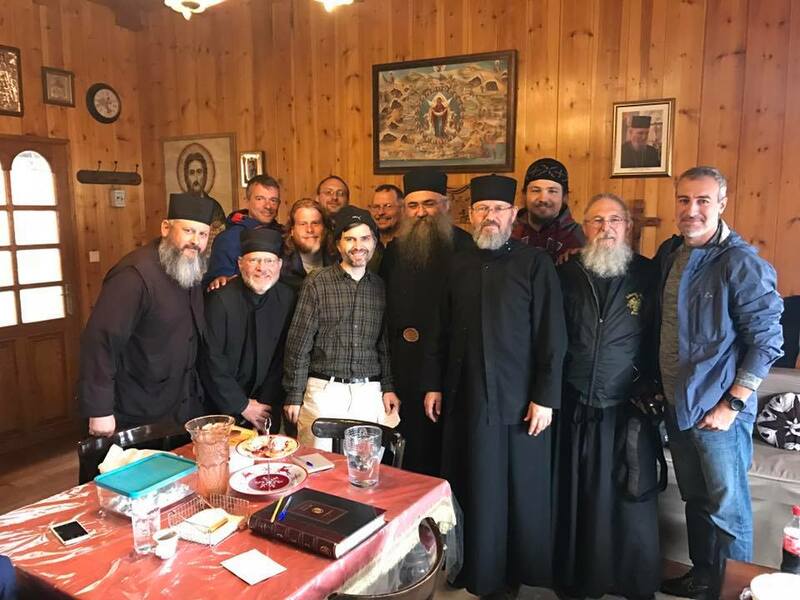 In one of Dr. Clark Carlton’s talks he mentioned that according to Metropolitan Herotheos Vlachos, the understanding of Grace is the main and most profound difference between Orthodoxy and Roman Catholicism. That the Roman Catholic Church teaches that “Grace is a created intermediary”, while in the Orthodox tradition when we encounter Grace, we encounter God Himself. Is this the reason why we cannot receive Communion in the Catholic Church and vice versa? The debates surrounding the teaching of St. Gregory Palamas concern the nature of grace. In Orthodox teaching (codified in Councils that met in the 1300’s), grace is indeed “God’s uncreated energies,” and therefore, God Himself. This concerns the distinction between the Divine Energies and the Divine Essence. It is a distinction that is often way above our “pay grade” – in my estimation – other than the fact that we Orthodox understand that the grace that works within us is none other than God Himself and not a created effect. Roman Catholicism has, I understand, held this differently. It is more than possible to overdo the disagreements between Orthodoxy and Catholicism in such matters. For one, despite arguments to the contrary, the position and understanding within Roman Catholicism has shifted on a variety of things, more towards the Orthodox point-of-view more often than not. I’m not certain at all how they might think about this at present. The differences between Roman Catholics and Orthodox are formal, in certain respects: Papal authority, the Filioque (“and the Son” inserted in the Creed by later RC’s). There are many, many more differences that are more subtle, some of which are of little consequence, others much more so. We do not have communion with them because we lack unity of doctrine and agreed practice (not just on the point of the Divine Energies). The Church is organically “one” in every respect. We are not in “union” or “unity” with one another. There are probably some Orthodox who think that the differences are quite small, almost insignificant. There are others who think they are quite large, and almost impossible to overcome. Of the two, I lean more to the latter position, though I’m not dogmatic about it. You were not hearing the “Nicene Creed” but the “Apostles’ Creed” – a creed anciently associated with Baptism that is used commonly in the West in that sacrament. The Nicene Creed is actually an expansion of one of those early Creeds – but in the Orthodox Church is the only one we use. Thank you for clarifying, Father. If I may labour the point a bit further: how is the transformation (“aliosis”) of the hand of Christ made manifest on the believer? We don’t become full of light nor do we become more moral, improved people. At times, the struggle makes us grumpy or leaves us feeling like failures. However, something changes. Maybe it is a mystery and how this is expressed outwardly is of no importance. For instance, and this is no ordinary example, how was St Paul changed after he heard God? We know bits of his life and that he also carried on with a “thorn in the flesh”. Maybe it is a mystery of the life within the fact of the Kingdom of God which is already upon us and how this is expressed outwardly is of no importance. This is compounded by the fact that the change which occurs is much more on the scale of a tree growing than a flower blooming. It takes time…many years. The younger you are, the less likely you will be able to see. The older you are…the more it seems obvious (in hindsight). Probably the best yardstick of transformation is that it will matter less and less to you, and Christ Himself will matter more and more. We abandon ourselves to Him, delight ourselves in Him. We lose ourselves in the Beloved. We receive our lives back as a gift – and then we offer them back to Him. And on and on. The transformation (‘aliosis’) of the hand of the Most High, in its personal experience, is undoubtedly connected to Grace. Grace visits man and transforms him as fire transforms iron. The common Greek expression “I was flying after confession” indicates the effect of this transformative visitation with admirable straightforwardness. We might have been struggling to perform the commandments before this encounter, but afterwards things become effortless. Like a supersonic plane whose flight feels harder and harder for the pilot the more it tries to approach the sound barrier, and the second it breaks it, what felt like going through liquids, or even solids a second ago, feels like the most effortless flight through a silent void (although it is clearly now going much faster than the strained flight a minute before), so too, when man has the experience of palpable Grace in him things that were previously hard become effortless. However, we mustn’t ever demand this experience self-interestedly. We ought to accept the subjective ‘forsakeness’ of what Elder Sophrony and Fr Zacharias terms the dryness of the ‘second’, and longest, most fertile period of man’s ‘testing’, with all its struggles and bumpy ride. [The first and the last (or 3rd) period –that very few know–, being the only perceptibly grace filled periods] We ought to surrender trustfully to God and try and act, think, and feel even, the way we remember we acted when things were effortless, when God’s Spirit had possessed our being and had showed us what He is capable of doing to us. All have, at least a meagre taste of such first invitationary periods to call upon. Thank you all so much for these comments! Receiving them in my inbox keeps these ideas present in my mind throughout the day. I am so grateful. Although English is my native language, I do find many of these ideas—especially shame—difficult to understand. After reading the comments, especially regarding our desire for progress, I am slowly becoming a little calmer. I have been frustrated by my lack of discipline, my lack of prayer, and this morning rose early. Just as I was goning to go to my icons, my son and was hurt. So my prayer time turned into mom time. As I was comforting him I smiled at how often my attempts to ‘do what I ought’ are completely derailed by events outside my control. I was able to remember words here and relax and love my boy without anxiety about getting to my prayers. They are indeed shorter today, but perhaps I’ll have to take them with me as I go forth doing other necessary things…feeding the animals, caring for children, etc. I empathize with you… Countless times my prayer time became a mom time, as you put it. I had to learn to combine them and have a prayerful mom time. God bless your efforts. I take my hat off to all of you. In our stressful and hectic world it takes an heroic effort to try and raise good kids. I have a niece who is a kindergarten teacher. She’s now approaching retirement age. In her teaching years she also had 3 children, 2 were twins. They were baby sat by relatives. However, mom , of course, had to get them all up and ready before going to teach, all 3 under 4 years old at one time. Dad wasn’t much help. And then taking them to the sitter, working with 25 five-year-olds all day, going by and getting the kids, going home, preparing dinner, cleaning up, bathing the children, reading to them, putting them to bed, then maybe preparing for the next day of teaching. Makes me tired just thinking about it! I know that I taught many days when I felt lousy. All who work have days like that. But I can’t imagine being half sick and then having to do all that I mentioned above. Weekends were always jammed packed for her too, cleaning house, grocery shopping, etc. I could not have done it. So, may God bless and guide all you wonderful mothers. He’s the only one who can bring sanity and stability out of which otherwise might be chaos. He sees each sigh, tear, and comforting word/love you speak tending to every scraped knee. If you have little time for yourself or quiet prayer please know that you are doing the most important work in the world. It’s been many years since mine were little, but hearing this affirmation warms my heart – thank you! This story of a miracle really comforted me. The Angel counting the steps is, I think, the Angel counting all our “difficulties” that we patiently endure while walking with Christ. I thought about leaving … But, working, I will not have time to go on interviews. But God decided, as always, differently. There everything was so obvious, such an explicit direct answer that for a moment I was taken aback and my hands dropped. I realized that if I asked, I will get an answer and I will not pretend that I did not hear. So – all my plans are covered. I will not look for another job, I will not … I can not. I spent my vacation not thinking about anything. And two months later the office opened a new branch in my district. Walking distance from home – ten minutes. And they transferred me there. Agata, that is very comforting to me – thank you! He leads sometimes where I would not have chosen to go, and I think that He didn’t hear, or didn’t quite hear correctly the request (exposes how preposterous this is when written). But when I am assured that I really am following the best I can, there is joy, even in difficulties. Theodosia- Thank you! I try to remember days with my children are short and will be gone much too soon. Dean- your words brought tears of comfort. Thank you. I am richly blessed. I have been able to stay home and teach my children myself. I have a daughter thriving beyond our imaginings in college, a 12 and a nearly 8. Quite spaced out. Home schooling is wonderful but has many moments of terror in fear of ruining my children. My eldest is not ruined…this helps me with my younger two even though they are each so different! Agatha- my husband currently works 1 1/2 hours away and has contemplated trying to change jobs! Your note is perfect…I sent it to him. I am glad to be reminded of Paul’s thorn in the flesh. He carried on regardless, right? I do not know if his issue was physical, but I now have a minor yet chronic pain issue that can make getting through the day tiresome, not to mention completely messing with my home schooling plan. All these comments from everybody help me; this blog encourages me so much. These two statements get to the heart of why I’m finding it so difficult to leave my faith tradition. I’m not someone who leaped from one faith tradition to the next, as broken as I realized the one I was “born into” was. Until Orthodoxy, they all bought into the same, or similar fallacies as the next, and none seemed “better” than the rest. None were compelling enough to be responsible for converting a pagan empire steeped in pagan philosophies, and entrenched pagan traditions, to Christianity. They can’t even keep all of their nominal members from leaving home. Now that I have found life in Orthodoxy, strangely enough, it has spilled over into the broken traditions I grew up with. Yes, communion in a Protestant congregation is a shadow of what it should be as realized in Orthodoxy, but I understand it now in a way that makes sense. I’ve jettisoned a lot of theology I grew up with, if you know Adventists there’s a lot of emphasis on Daniel and Revelation, but I realize a lot of it – even if it might or might not be accurate – is not salvific, and therefore unimportant. I’m still coming to terms with the theolegumina surrounding Mary specifically, and the saints in general. But the most important thing I’m finding as I talk about my struggles with my Pastor and others is this, it is SO good to finally hear sermons NOT dealing with substitutionary atonement theory! Culturally, there are a lot of things I would miss – I would leave one weird calendar with a weekly aberration for an even weirder calendar that covers the whole year. I wouldn’t be with people who really understood the whole revulsion I have with pork, shellfish, and catfish – I realize I’m not saved with such activities – they are just a part of me. Then there are the friends and family that have supported me and mine for the last 50 years who I am sure would drift away over the manifest incompatibility of beliefs and lifestyles. I’m just hoping that being a tree in the desert, even if it is in sectarian Marah, sweetened with the wood of Orthodoxy (Exodus 15:25), has value until I am ready for more. Your comment about having your prayer time interrupted really resonated with me. I used to really struggle with frustration and even resentment whenever “my” prayer time was interrupted – invariably my widowed father would call or my preschooler would suddenly become very needy. Then one morning, I realized that clinging to “my” prayer time was me being selfish and putting myself ahead of others, and that to switch gears to offer alms to my father (a listening ear), or love and attention to my son was still prayer, just in a different form of dying to self (giving up my will). My son is almost 6 now and most days he now prays with me. I couldn’t ask for a more beautiful reminder of God’s grace than that little boy’s childlike faith. Enjoy 6! It is so wonderful! As I look back I wish had been more present with my children, worried less, embraced motherhood more fully. I haven’t figured out how to balance ‘me’ with ‘other’, if that makes any sense, but am starting to see my children as their own persons more and more, making an effort to see the world through their wonder filled eyes. My heart absolutely broke when my oldest daughter went off to college. There will always be a sense of not having done enough, or been enough, for my children, but now I can see a little more of how God holds them in His hands, and while I am so insufficient, He is not. It’s such a relief! Now if I can only remember to live into the delight of my children and strive less. Thank you once again Father. Repentance is the only way to Him. lead me back to be refashioned into that ancient beauty of Your Likeness. A link to this beautiful chant with its lyrics: https://www.youtube.com/watch?v=hhgpGHBL71Y. And to anyone (that includes me) who’s distressed at the very thought of repentance that transforms, here’s a tip that’s unfailing: ask Mother Mary for help. She’ll soften up your heart and get you ready to bear the shame. I just wanted to say that your words in response to Thomas (the definition of “yardstick of transformation”) are becoming some of my favorite words you ever wrote on the blog (and I already have a small collection :-)). Fr Stephen, thank you so much for this post. Your response to Thomas (and thank you Thomas for your questions) helps us who might have large rocks in our ‘garden’. In shame I’ve spent enough time wanting to pretend they are not there. Most ‘work’ that approach this sort of rock has been superficial. I’m grateful for your continued conversation about shame. More thanks also to Paula and Kristin too. Your comments bring joy and light, and help us to flesh out Fr Stephens words. And last, thank you Nicholas S Griswold, you frequently bring up deeper meanings that can be obtained from the original biblical language. I’ve desired a different translation from my Orthodox Study Bible, and appreciate your recommendation. I will buy it if you think it might help me gather more depth in my readings. Fr Stephen you have my prayers for your next book! I find that translation helpful and others I have shared it with in our parish have nothing but great things to say about it. A person’s theological background does influence their translation of Greek and it is good to have a version done by Greek speaking Orthodox who are also fluent in English. There are copious foot notes and whole pages devoted to explaining some concepts to provide good background understanding. I have another translation from a monastery in Buena Vista, CO that is wooden in its translation wording but I found very helpful for translation when I was in Seminary. It’s footnotes on grammar and meaning were invaluable in understanding Saint Paul’s idiomatic expressions in his Epistles. Would it be accurate to say that since the re-making of the self does not destroy who we are, it is really the completion of our creation as opposed to a total demolition and rebuilding? Since death is not annihilation but a turning away, we don’t die to our being but to our false apprehensions of who we are and to the defiling sins we’ve covered ourselves with. Then, our resurrection is not a sort of replacement of who we now are, but is a drawing out of the potential that is already baked into what we are. What I have in mind is something like how Gregory of Nyssa likened resurrection to the growth of a tree from a mere seed. The tree both is the seed and is not the seed. It is the fulfillment of all that is within the seed and shares all the seed’s history, yet it has few traits in common with its former self. Yes. Like St. Gregory of Nyssa. Fear not. Aunt Ellen was the omnipotence of my upraising. Rejoice, for now God is now supernal! I have a 17, 14 and 11. My wife homeschooled them until this year. She went through similar bouts of wondering if she/we were ruining their lives, if they would ever make it once they had to go out on their own. This summer we made the decision that it was right for all of them to start public school in the Fall. They’ve been at school for 2 months and all are getting 80 & 90% on their work. Not only that the teachers love having them in class. My wife was in happy tears when she realized this. I hope this isn’t the bad version of pride (grin) but I was reminded of them when I saw Fr. Stephen’s quote in the comments: “Those who succeed best are those from stable home environments where they are nurtured in enough security to experience some amount of adult formation.” Rest assured that you are providing them to means to grow in a stable environment and formulate who they are in a safe place. Better to be raised in a shack in the desert with love than in the richest accommodations without it. Thank you for sharing your thoughts! I am happy for your wife and children. It sounds like you made a good decision for all. Kudos! Just today I had a conversation with a friend in which i realized how fitting home schooling still is for us, despite my fears. I had a wonder moment yesterday with my daughter when I was so grateful to be able to walk beside her every day in this particular way. It’s truly the best for us right now. It could change, but I want to make sure I’m listening well to God and my family.